If for some reason you aren’t running Jelly Bean, meaning you don’t have access to Google Now’s amazing package tracking prowess, then you may want to update your Amazon Mobile app. 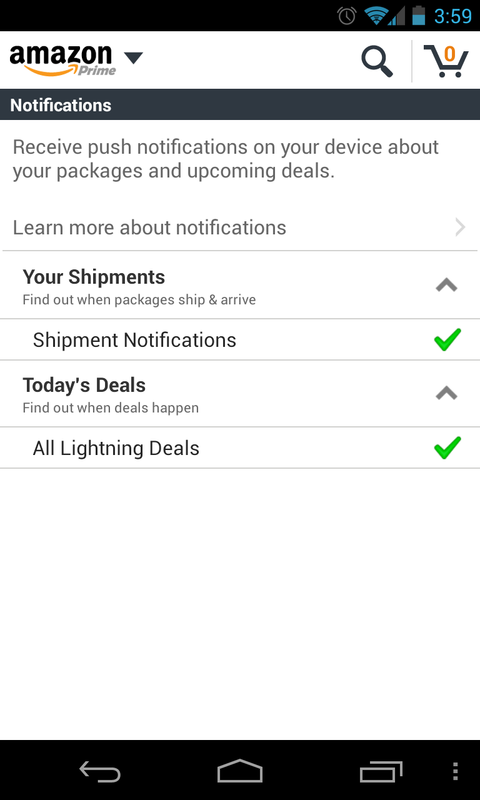 In the latest update that dropped this afternoon, Amazon has included shipment notifications that will alert you as soon as your package has shipped and been delivered. There are also new notifications for their Lightning Deals, if daily deals are you cup of tea.